If you ever get an inclination to hunt in the cold weather, just call me, we can probably arrange something for you! When Jim, and his grandson Jude arrived on Thursday it was in the single digits frigid. They seen some deer, but didn’t get any great shots, so we headed back out on Friday morning, and it was right at Zero when we got to the blind. I dropped them off at the blind and headed back to the truck to grab another couple guys from Indiana that were looking for a couple big bucks and some does for meat. So by 9am it’s like 3 degrees, and I started back out to see if I could locate the deer, as they(both blinds) had seen very little deer moving.. I can’t say as I blame them too much! So, I fired up the heater on our open Polaris Ranger(lol,no heater) and headed out. I was able to locate a few deer and shift them in the general direction of the one group of hunters. I would get off the ranger, and run some laps to keep my toes warm. 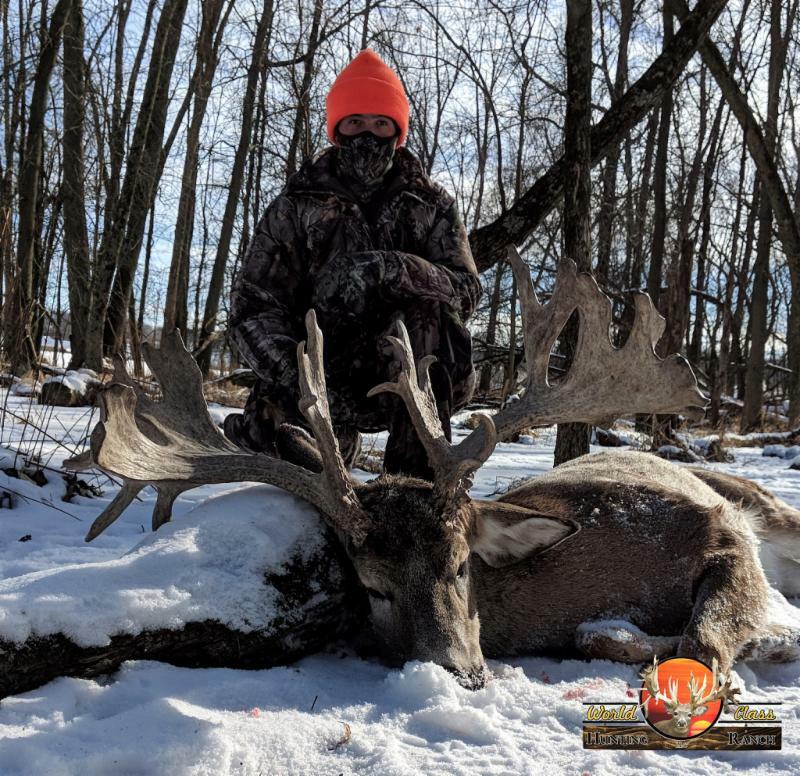 It was getting on towards noon, when finally I heard a shot, and then soon after; another, and here Jude had spotted this beautiful Non-typical 269″ Trophy that he simply felt should take a ride to South Carolina with them, so he took him out! 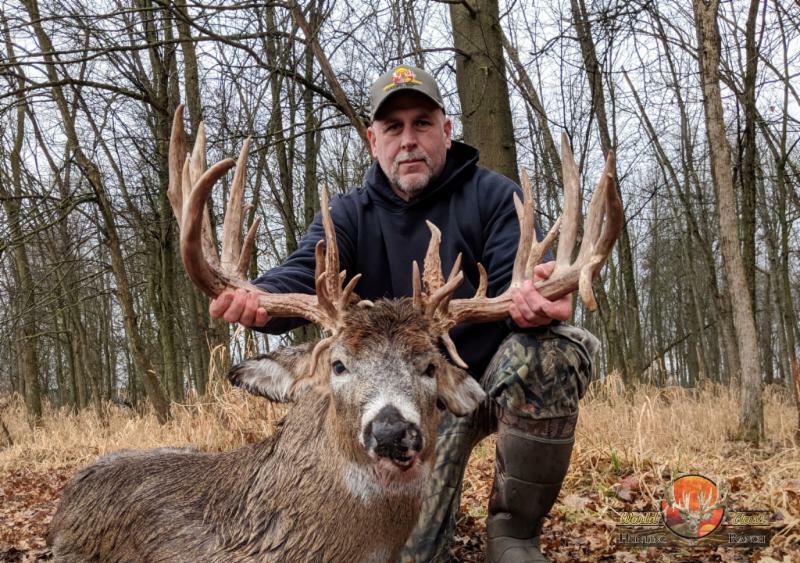 Congratulations on an Awesome Buck! 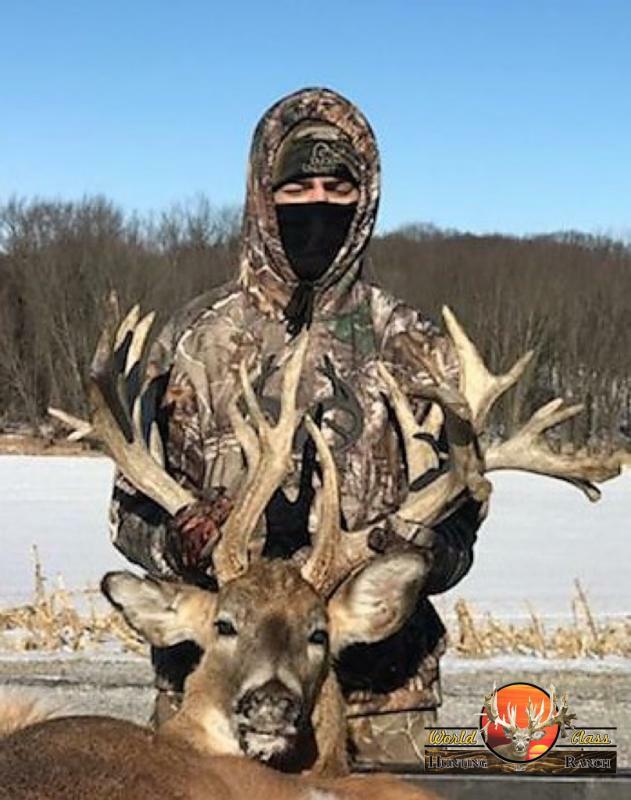 Meanwhile another group of deer shifted towards the other hunters, and they were able to take the Big 354″ Buck they had been stalking! 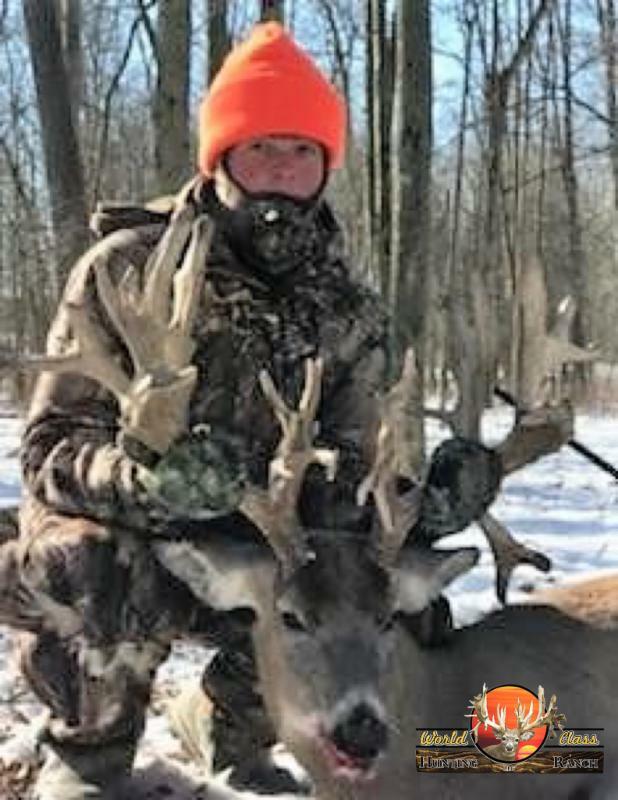 After we gathered up the bucks and headed to the trucks, we all warmed up a little then some of us went back out with the Hunters from Indiana and were able to harvest another nice Palmated Trophy Whitetail, and 4 does for the freezer… The toe warmers certainly came in handy that afternoon. Even into that afternoon the temp stayed in the 10 degree range. So, how did the others stay warm? They were in a blind out of the wind with a Propane heater! So, if you are looking for a great hunt, have a great time, with some great people(Rich is a Great guy!) all at a fair price, then look no further, call me today and get set up for your next great hunting adventure! Remember, the time is always right, to do what is right.